We would like to highlight the Outstanding Reviewers for MSDE in 2017, as selected by the editorial team, for their significant contribution to the journal. The reviewers have been chosen based on the number, timeliness and quality of the reports completed over the last 12 months. We would also like to thank the MSDE boards and the molecular engineering community for their continued support of the journal, as authors, reviewers and readers. To register now, click here or visit the APCChE website for more details. The first International Conference on Molecular Systems Engineering (ICMSE 2017), which will take place at the University of Basel from 27 – 29 August, focuses on the emerging field of molecular systems engineering and will feature speakers and participants from leading international research institutions, oral and poster prizes (supported by Molecular Systems Design & Engineering) and a pre-conference Science Slam. The ICMSE is a unique event in the emerging field of molecular systems engineering, and has the potential of leading to a long-term paradigm shift in molecular sciences. Guidelines on how to submit your abstract can be found here. Early-bird registration ends 31 May – register now and read more about the conference, programme and venue on the ICMSE 2017 website. Molecular Systems Design & Engineering welcomes new Editorial Board member Yongye Liang and new Advisory Board members! 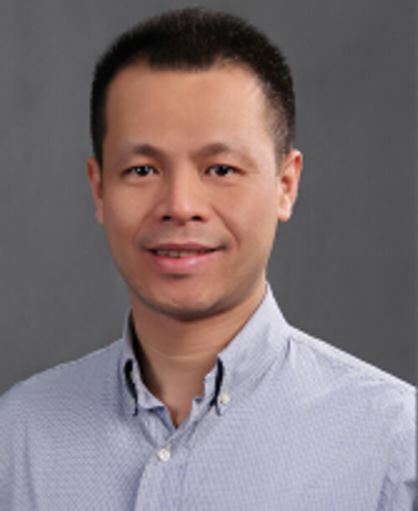 We are delighted to welcome Professor Yongye Liang (Southern University of Science and Technology, China) to the Molecular Systems Design & Engineering Editorial Board, and the new members of our Advisory Board. Yongye is Associate Professor in the Department of Materials Science and Engineering at the Southern University of Science and Technology, China. Following a BS in chemistry at Nanjing University, he received an MS and PhD in chemistry at the University of Chigago, then carried out postdoctoral research at Stanford University until joining Southern University of Science and Technology in 2012. Professor Liang was named by Thomson Reuters as a 2016 Highly Cited Researcher. The full Molecular Systems Design & Engineering team cam be found on our website. The early bird registration deadline is 30 April – register here now or visit the ANM website for the full programme, list of speakers and more information. This year, the 12th International Symposium on Macrocyclic and Supramolecular Chemistry will be run in conjunction with the Royal Society of Chemistry’s biennial ISACS: Challenges in Organic Materials & Supramolecular Chemistry meeting and will take place from 2-6 July in Cambridge. Themes covered at the conference will spread the breadth of macrocyclic and supramolecular chemistry, and the event will also offer the possibility for to students and researchers at their early-stage career to present their scientific work in form of poster presentations. Poster abstract submission is open until 24 April – click here to find out how to submit or visit the website for more information.